Whether you need some simple vegan recipes for this week’s dinner or are looking to stock your kitchen to make vegan cooking easy, I’ve got you. Let’s cook! One thing I hear a lot from folks who are new to veganism is that cooking vegan food is hard. While this 100% can be true, it absolutely doesn’t have to be. You just need a properly-stocked kitchen and some super delicious, simple vegan recipes in your arsenal. 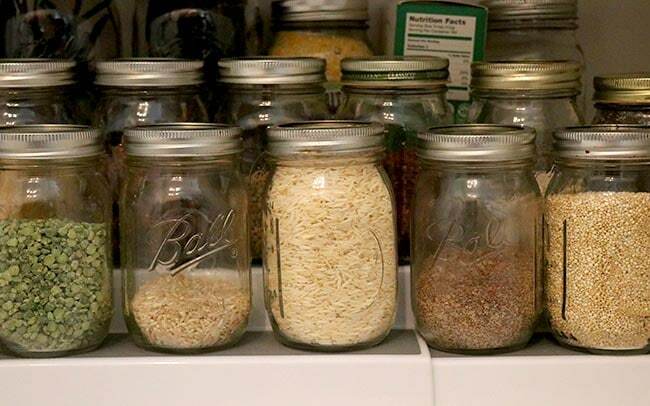 Let’s start with stocking the pantry, because having a good stock of dried spices, canned goods, and bulk items can make pulling a meal together in a hurry a whole lot easier. Check out the list below, or download my free, printable pantry checklist here. You don’t need every single item on the pantry list or in the list below. Think of them as guidelines, as you stock your vegan pantry. You also don’t have to overhaul your whole pantry today. Chances are, if you were already cooking at home a lot, you have some of these things handy already. 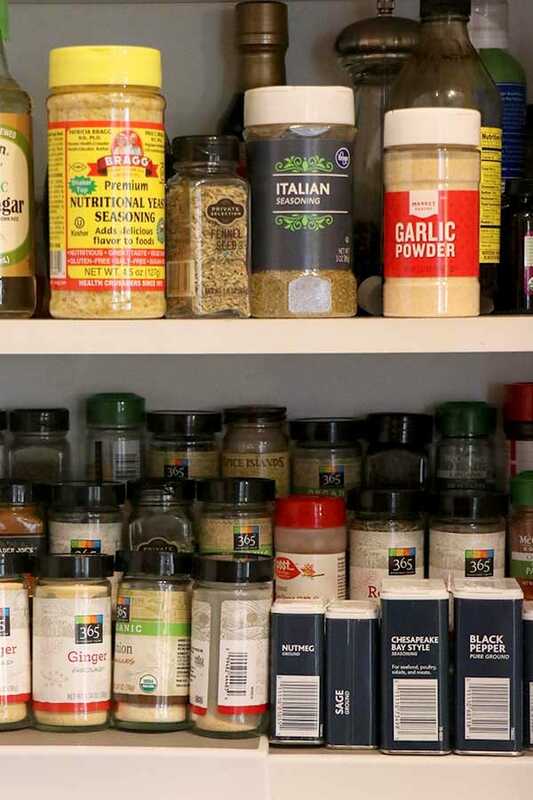 See what holes are in your own pantry, and stock up as you can. 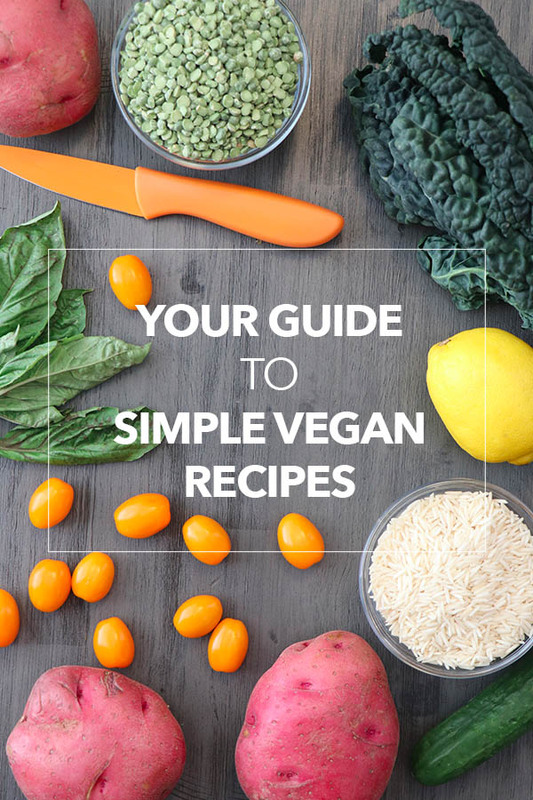 You’ll be making quick, simple vegan meals in no time! If your favorite herbs and spices aren’t on this list, by all means, still keep them handy! 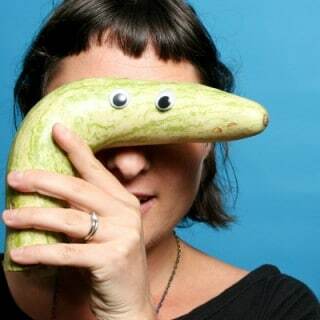 Food can be very personal, and you want food that suits your tastes. You don’t have to buy in bulk, though you can save a lot of money shopping that way. I think of bulk foods as an umbrella for dried beans and grains, plus nuts and seeds. The pantry checklist is a more comprehensive list, broken out by store section. I recommend using it to stock up on dry goods, because these are the cornerstone of easy vegan cooking. You don’t need fancy gadgets to make simple vegan recipes, but they can save you time and effort in the kitchen. I have three kitchen gadgets that I lean on heavily. Think of an air fryer as a super hot, miniature oven that cooks food in half the time it takes to bake in a conventional oven. The time-saving is the thing I love most about air frying, and we fire ours up daily. I lean heavily on my air fryer to make everything from Sunday brunch to weeknight suppers to fun desserts. I’ve written an extensive primer on how to use an air fryer, including lots of recipes. 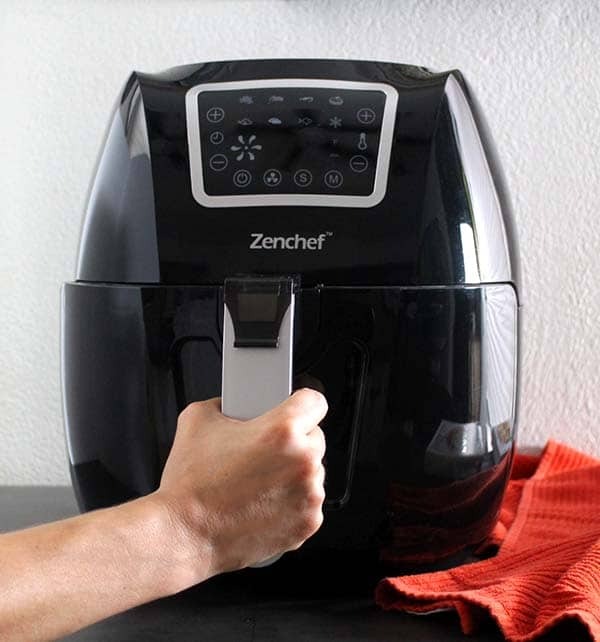 >>This is the air fryer my family uses. We love it! 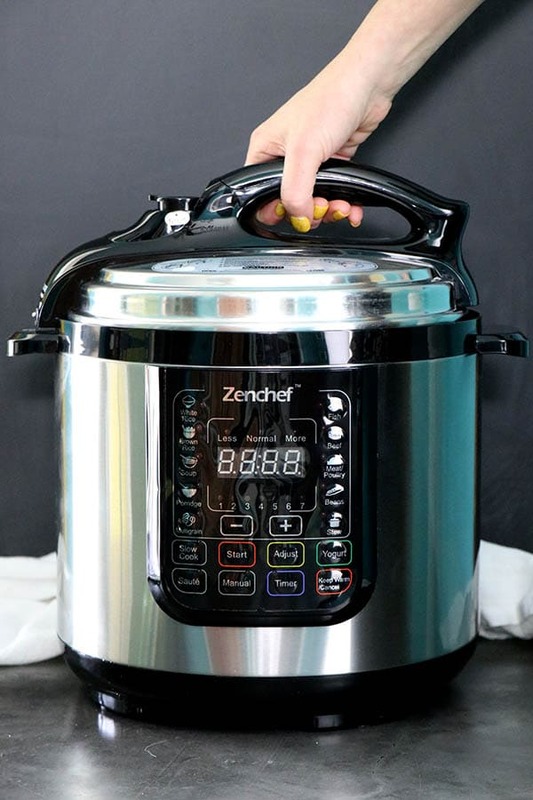 If an air fryer is a super fast oven, think of the Instant Pot as a super fast pot that cooks beans, grains, soups, stews and veggies in half the time it would take in a pot on the stove. If you’re looking for some simple vegan Instant Pot recipes, I’ve compiled my family’s favorite ones right here. >>Make sure you get one like this, with a yogurt function! 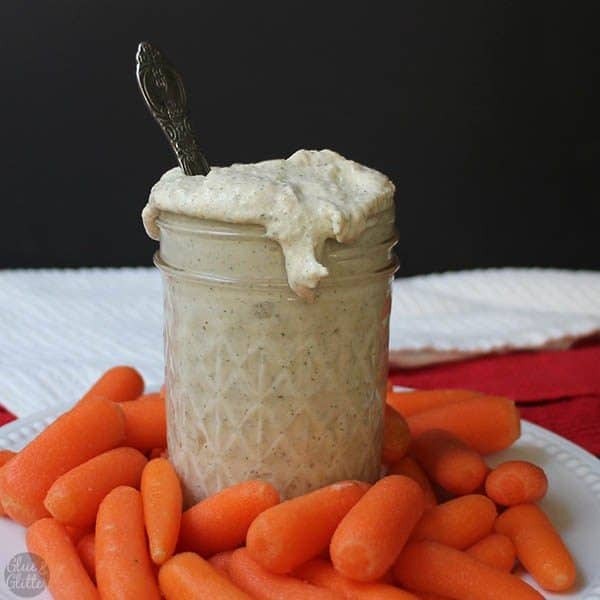 A blender or food processor makes cooking a whole lot faster and easier. 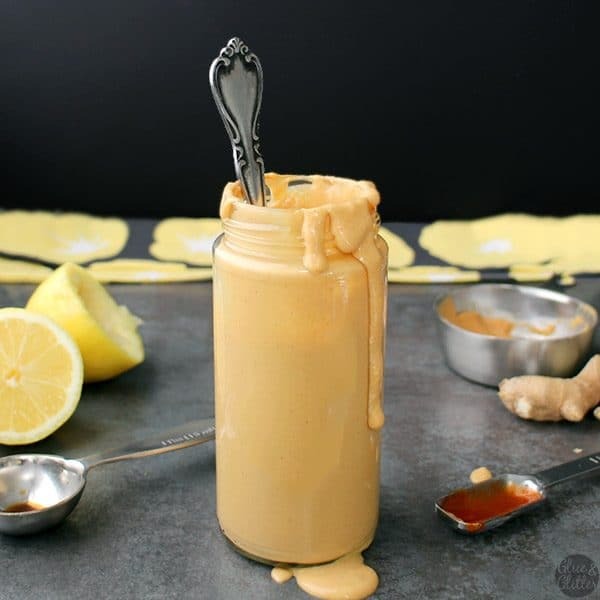 I use my blender for smoothies, for making quick sauces and salad dressings, and for mincing ginger and garlic. 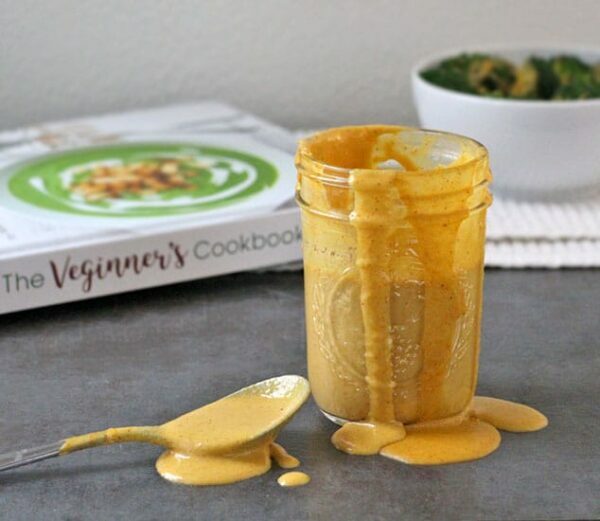 You don’t have to buy an expensive, high-speed blender, but a good-quality blender helps get smoother sauces. Especially when you’re making something like a cashew cream. >>This is the blender I have and love! 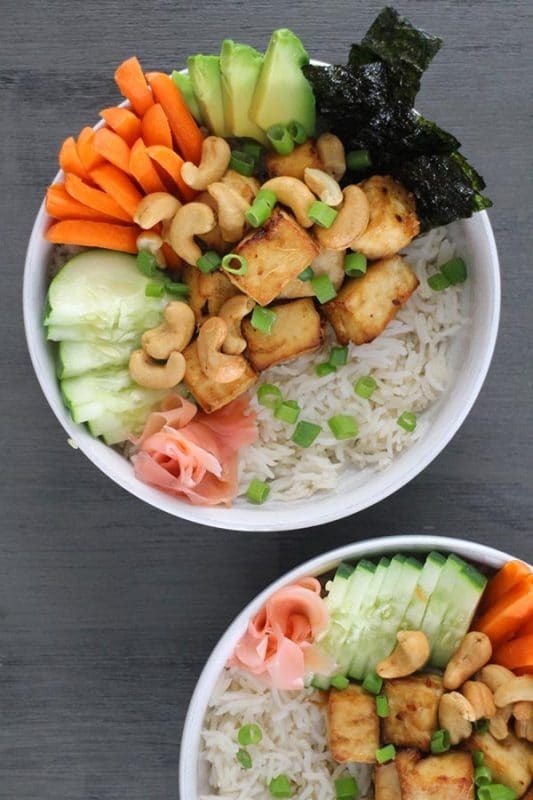 Bowls are the cornerstone of my family’s diet, because it’s so easy to create a quick and healthy meal with my simple bowl formula. I love bowls so much that I wrote a whole cookbook about them! 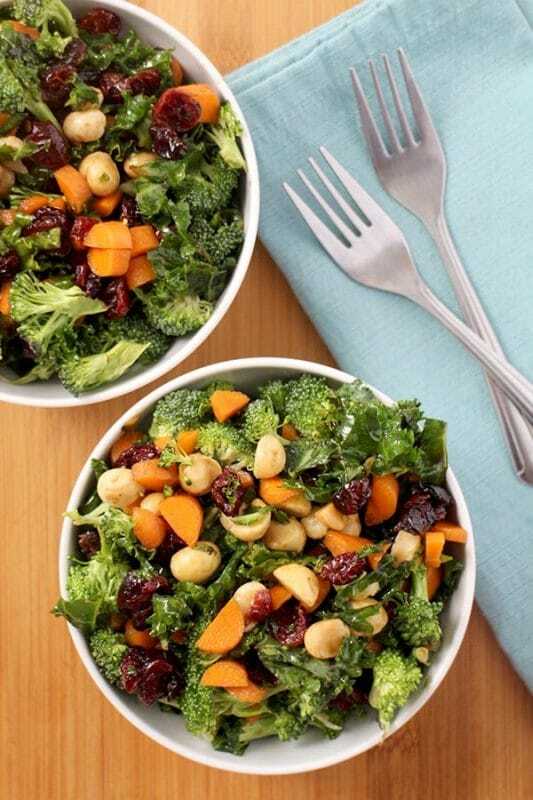 With that formula in mind, you can create endless meals using what you have on hand. If you prefer a more proper recipe, don’t worry! I’ve got lots of ideas for you. 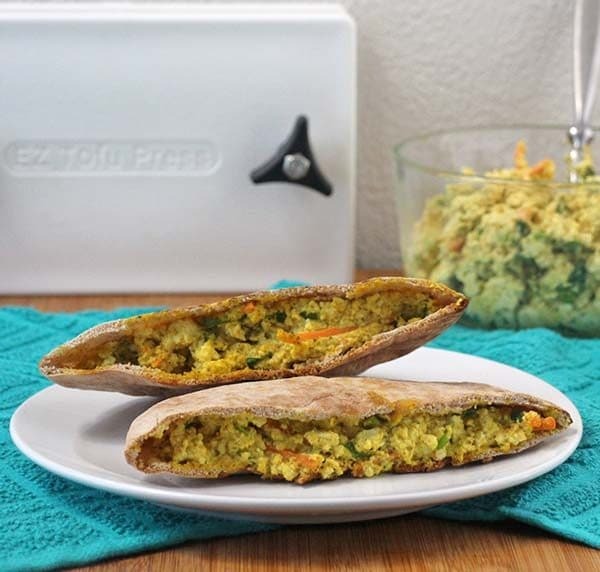 Here are some easy vegan meal ideas for breakfast, lunch, and dinner. Vegan breakfasts can take a long time to make, if you’re doing something like preparing steel-cut oats on the stovetop. But there are lots of quick and easy ways to start your day, too. 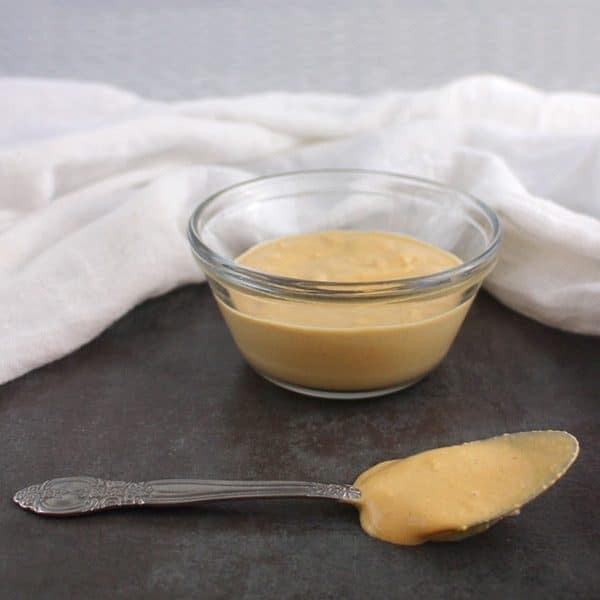 toast – Spread on some vegan butter or peanut butter, and call it a day. cereal – Pour on your favorite vegan milk, and you’re ready to eat. There are more ideas in the breakfasts post, including some that are actual recipes, but as you can see, vegan breakfasts don’t have to be elaborate. When you’re scrambling to get your kid ready for the bus while still waking up yourself, you just need something quick and easy. I’m going to focus on packed lunches here, because lunch food and dinner food are really very similar otherwise. In fact, leftovers from dinner are my very favorite lunch! 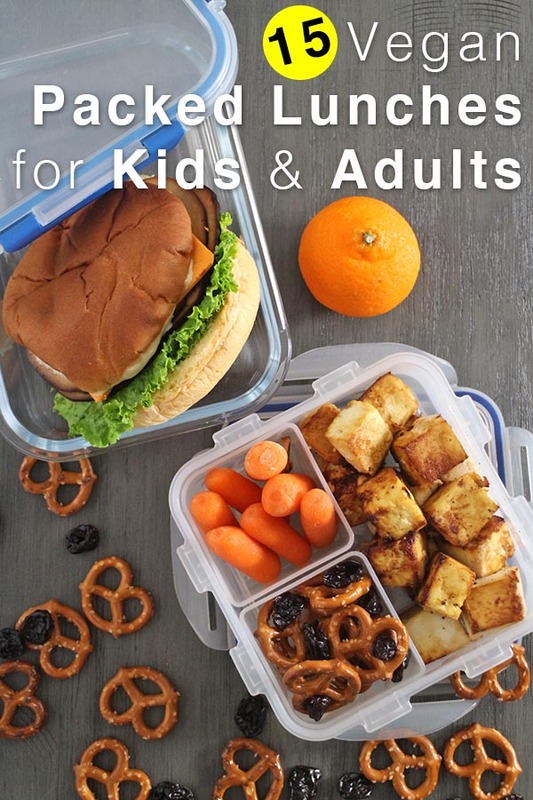 If you’re looking for simple vegan lunches that you (or your kids) can take to work or school, this list is going to be very handy. It’s got ideas for sandwiches, wraps, salads, and more! This tofu salad is creamy, satisfying, and fresh, and stuffing it in a toasty pita is absolutely perfect. 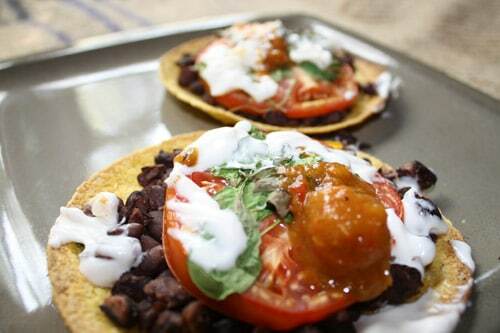 These vegan tostadas make a great, quick lunch, and they’re perfect for celebrating that late summer/early fall bounty! 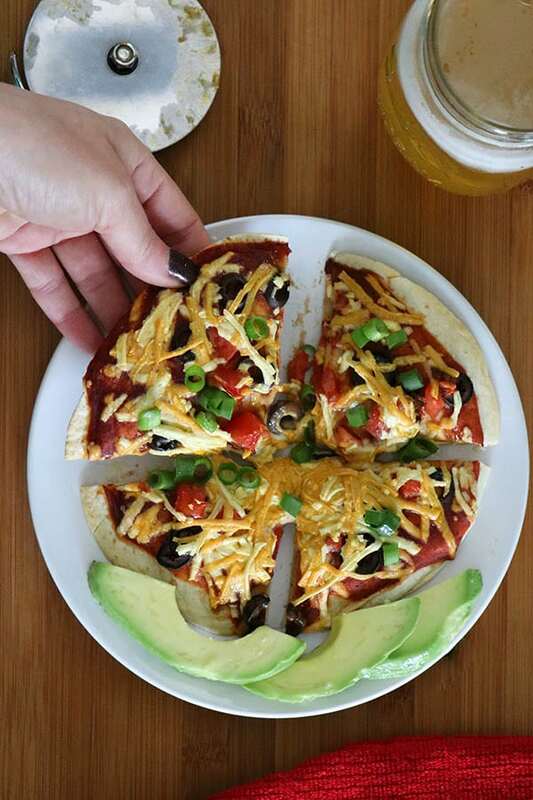 Vegan Mexican Pizza loaded with all of the toppings is healthier (and more delicious!) than its fast food cousin. 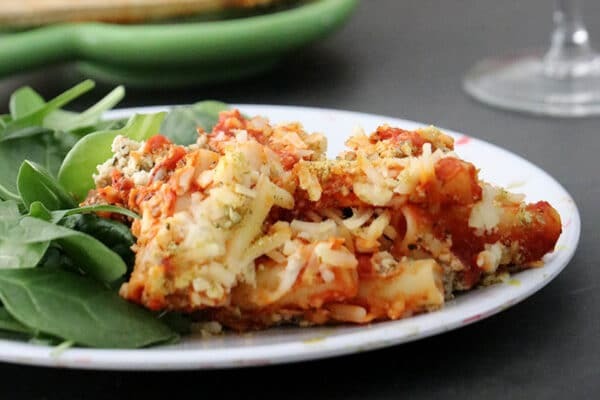 Vegan Baked Ziti is a super easy and filling weeknight meal. This easy pasta casserole comes together in under an hour. 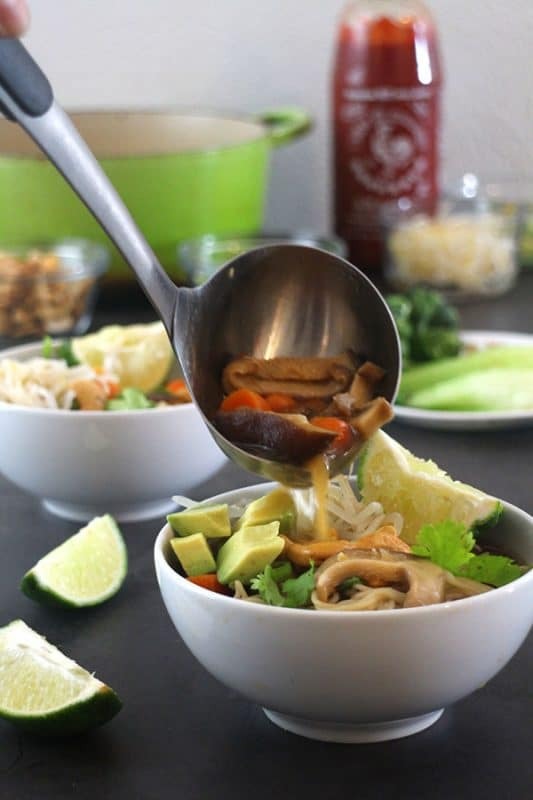 This cozy bowl of Vegan Ramen Noodle Soup is ready in about half an hour. What I like to recommend to new vegans is to think about what you would make for supper if you weren’t vegan, and see if you can “veganize” it. If you’re not sure how to make a meat-and-dairy recipe vegan, you can always do a quick search. So, if your family loves chicken noodle soup, search for “vegan chicken noodle soup”. You’ll find pages of delicious options! I love a one-pot meal, but sometimes it’s nice to have a little something to go with your main dish. Maybe you need some veggie or flavor oomph or are looking to make a pot of soup into a filling meal. That’s where sauce, sides, and starters come in. A good sauce can take a simple bowl of beans, rice and veggies and transform it into a total party! These starters and side dishes work well alongside a main course, or you can make a meal out of side dishes. Have fun with it! 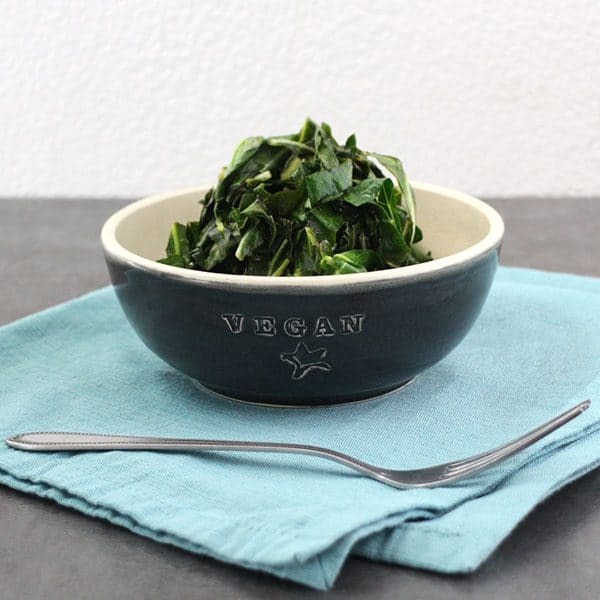 These tangy, tender Stovetop Collard Greens are made for seconds. And thirds. They are seriously addictively good, and they only have three ingredients! 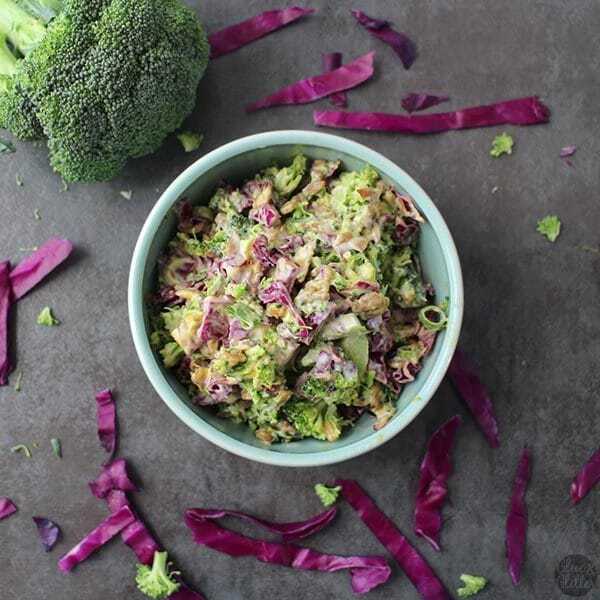 This Vegan Broccoli Slaw couldn’t be easier! It’s crunchy, creamy, and you only need six ingredients to make it. 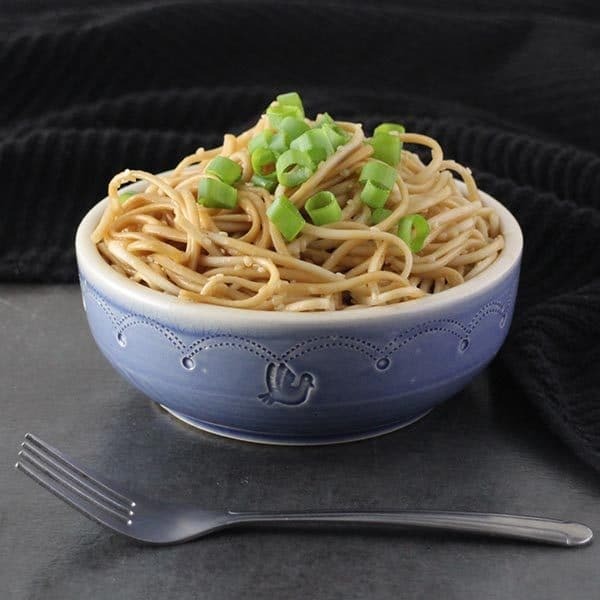 Easy Sesame Noodles are perfect served hot or cold as a base for a bowl meal or alongside lettuce or Napa Cabbage Wraps. And they only take about 15 minutes to make! Talk about easy, affordable comfort food. 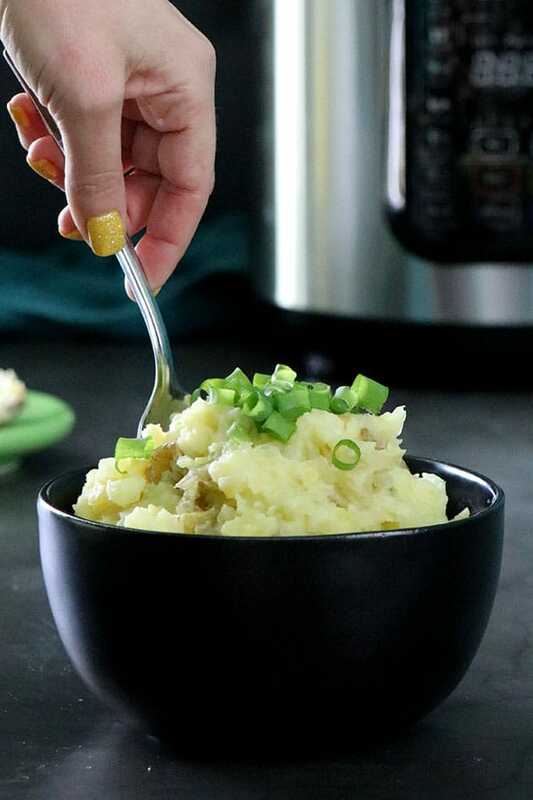 Use your pressure cooker to create a hearty bowl of vegan colcannon all in one pot. 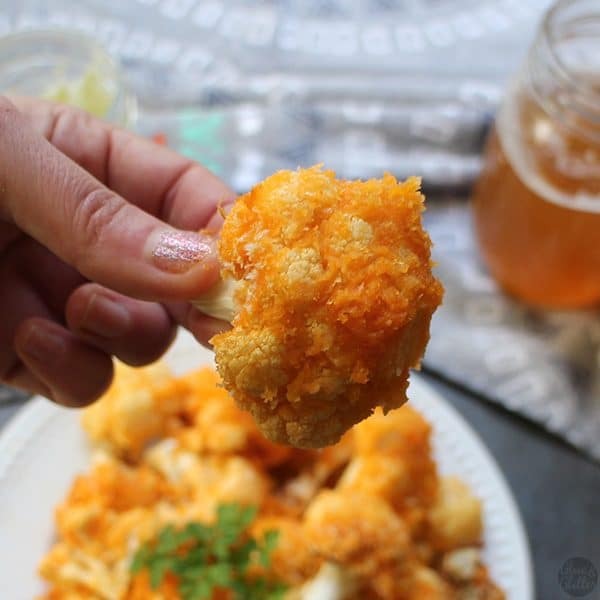 If you want more ideas for easy vegan appetizers and side dishes, these simple vegan party food recipes are a great place to look.